The 1942 Nash Ambassador 600 Four-door Trunk Sedan tipped the scales at 2,655 pounds. At $1,460 f.o.b Windsor, Ontario, it was the most expensive model in the 600 series. Having been at war since 1939, Canada entered into its fourth year of the global conflict as the 1942 automobiles were unveiled to the public in the fall of 1941. For the most part, this year’s crop of automobiles were little changed from 1941. Rationing of automobiles had begun on February 13, 1941 when the Minister of War appointed a Federal Motor Vehicle Controller. He promptly seized all new cars and placed them into a nationwide reserve pool. New automobiles were available only to those who could not do without. These prospective purchasers had to meet “essentiality” criteria laid down by the Motor Vehicle Controller’s office. Individuals filled out enough paper work to deplete a small forest in an effort to prove that if they did not receive a new car the war effort on the home front would be jeopardized. Manufacturers were already limited to 50 percent of their 1941 production for the 1942 model year and those figures were slashed by Parliament yet again in March 1942. Severe restrictions were also placed on companies that did not manufacture domestically. Among the latter group was Nash. Nash was the inheritor of the sacred Rambler and Jeffery mantle. The pioneer Kenosha, Wisconsin manufacturer had a long-standing relationship with Toronto-based CCM, makers of the luxurious Russell marque. Rambler, and later Jeffery, had been imported and sold by Russell dealers. 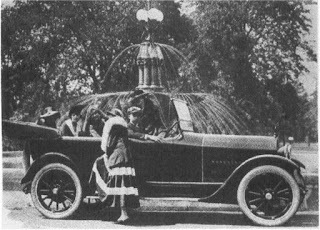 Nash Motors incorporated in 1916, and the new owner quickly phased out the Jeffrey to launch his own line of automobiles. Nash then set up its own sales and service network across the Dominion. Plans were afoot to take advantage of Empire Content laws by assembling Nash cars here. A deal was in the works in 1932 to lease space in the sprawling 512,000-square foot factory complex in Leaside (Toronto), Ontario. The 8.6-acre campus was already home to Frontenac Motors, Limited whose workers also assembled Durants and Reo Flying Clouds. Despite the fact that immanent assembly was announced, Nash production never got off the ground. 1935 Nash Ambassador Eight Victoria. Advertising from 1935 lists Nash Motors of Canada, Limited as being headquartered in Windsor, Ontario. While there was no automobile assembly in Motor City, sales and service for all nine provinces was administered from there. In the very depths of grinding depression, Nash dealers delivered 326 sleek, streamlined chrome and steal beauties that year. Nash appealed primarily to professionals who wanted an automobile that would set them apart from the McLaughlin-Buick and Chrysler crowd. Sales figures rose sharply for Nash in 1936, reaching 526 units sold. There were smiles all around when a whopping 1,484 new cars were delivered in 1937. 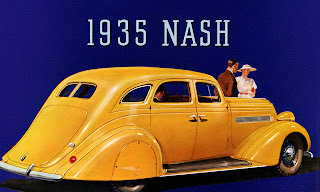 Things got even better in 1938 as 3,645 Nash automobiles were purchased. That figure was off ever so slightly in 1939 as 3,400 cars were delivered and off again in 1940 as 3,381 Nash cars were imported. Only 835 Nash cars had been sold throughout the country during the 1941 calendar year. 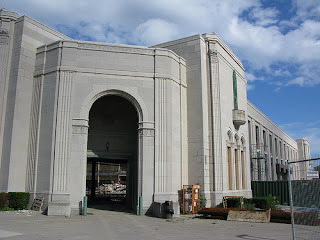 The Automotive Building at the CNE. The 1942 Nash Ambassador Six Coupe Brougham sold for $1,838 and the Eight carried a list price of $2,042. Few were sold, Ottawa began rationing cars in February 1941. Boasting a concealed trunk, the 1942 Nash Ambassador 600 Four-door Slipstream Sedan listed for $1,391 f.o.b. Windsor, Ontario. Shown with optional two-tone paint, the 1942 Nash Ambassador Six Four-door Slipstream Sedan was priced at $1,863. The Eight listed for $2,093. The small Nash took its name from the 600 miles it could squeeze out of a single tank full of gasoline. A three-passenger Business Coupe was the least expensive Nash, with a list price of $1,280. 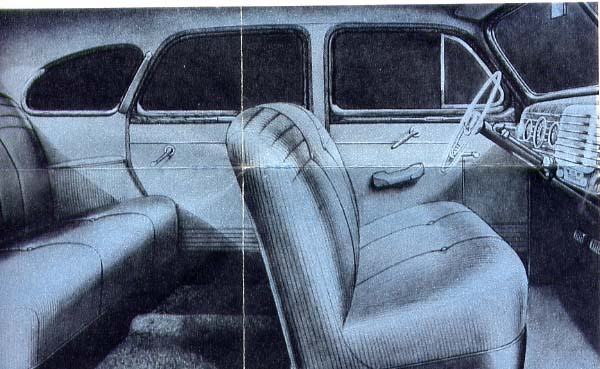 A Four-door Trunk Sedan, a Four-door Sedan, a Two-door Sedan and a Brougham were also offered, all on a 112-inch wheelbase. Powering the Nash Ambassador 600 was a thrifty little L-head six-cylinder engine with built-in manifolds cast into the block. The 172.6-cubic inch mill generated a respectable 75 horsepower, enough to zip the light car down the pike. Weighing at 2,540 pounds, the 1942 Nash Ambassador 600 Coupe offered room for three passengers and 27.5 cubic foot of luggage. Next limb up on the maple tree was the Nash Ambassador Six. “If you want to enjoy the very finest performance that any car can offer yet keep within the medium low-price field then the car you want is the Nash Ambassador Valve in Head Six. There is no other car like it at the price. The Nash Ambassador Six Coupe cost $1,706 and weighed 3,200 pounds. The Eight weighed in at 3,350 pounds. The Ambassador Six rode on a much longer 121-inch wheelbase. There were five offerings in this series, as well. A Business Coupe, a Two-door Brougham, Four-door Trunk Sedan, a Deluxe Four-door Slipstream Sedan and a Special Two-door Sedan. The engine was the 234-cubic inch seven-main bearing six-cylinder, of valve-in-head design. It generated 105 horsepower. The all-silent Synchro-Mesh manual transmission was standard equipment, overdrive was an extra-cost option. Stylists won an award for the beautiful 1942 Nash instrument panel. It is shown here with the optional push-button radio. The quintet of Ambassador Eight models shared the same body styles as the Six but differed in terms of additional cylinders under the hood. Naturally, higher quality was seen throughout, including Boucle upholstery, assist cords and a robe rail, ashtrays fore and aft and “dozens of fine car appointments.” Advertising said, If it’s plus power you’re looking for, the extra smooth performance of an Eight, the supreme command of the road, then the car for you is a luxurious Nash Ambassador Valve-in-Head Eight. Here is a car that can match against many automobiles costing hundreds of dollars more. The nine-main bearing, 260-cubic inch, valve-in-head, eight-cylinder engine developed 115 horsepower. The same all-silent Synchro-Mesh manual transmission offered in the six was standard equipment for the eight, overdrive was an extra-cost option. With chair-high cushioned seats measuring almost five foot wide, the 1942 Nash was as comfortable as your favourite chair at home. “Sea Leg” coil springs all around gave a soft, restful ride. Other options included the Airliner reclining seats that dropped flat to make a bed, turning one’s car into a sleep-anywhere Nash Hilton. The Weather-Eye heater was the finest in the industry. One could order a pushbutton radio, too. “Whichever one of Nash’s new ‘Million Dollar’ beauties you choose, you can be sure it’s built to give you years of service over and above the life of the average car,” was advertising’s last word. Only a handful of Nash cars were sold that year. In fact, only 17,286 automobiles were reported as being sold during calendar 1942, almost all of them under the watchful eye of the Federal Motor Vehicle Controller.